We may have a nice new pen, with New toys, house and even AstroTurf ... but where out are our treats?!?! 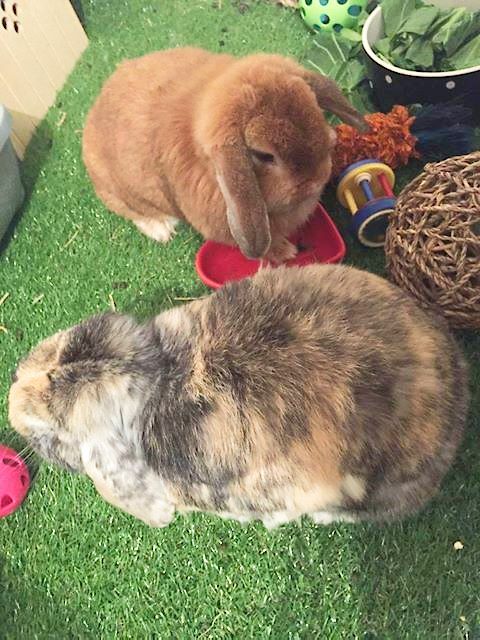 I'm not speaking to you hoomin until we get some!! Just a few wrinkled leafs of some kind of green ... oh the shame. Oh, it's just too much adorableness two days in a row with the harlequins and this cute little rusty bunny! Love them, love them <3 <3 But really, where *are* the treats?? I suppose they could try munching on the astroturf.